Who wants to carry around a bunch of extra weight when the sweat generated from triple-digit temperatures is already slowing you down? A summer salad topped with fruit or light vinaigrette is the perfect way to satisfy your appetite while staying nimble in the August heat. Local peach salad at Mary Eddy's Kitchen, Friday, July 28, 2017. Located in 21c Museum Hotel, Mary Eddys earned its reputation for combining local ingredients with a modern flair. Its local peach salad is the perfect starter on the dinner menu after a long, hot day. 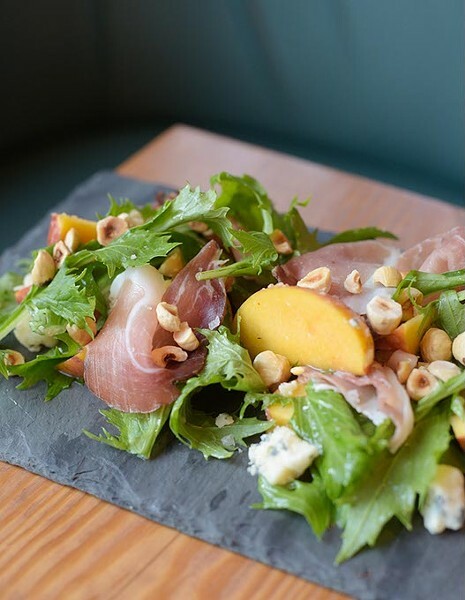 The salad combines bitter mustard greens with aged and salty speck ham and local peaches. No fruit signifies the arrival of summer like a sweet peach. The starter is then topped with blue cheese from Barren County, Kentucky; hazelnuts for crunch; and honey-lemon vinaigrette. Kale and quinoa salad at Pepperoni Grill, Thursday, July 27, 2017. Pepperoni Grill is a gem inside Penn Square Mall. 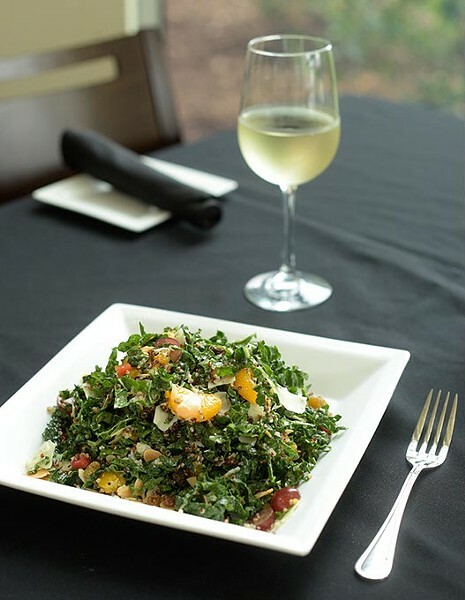 Its kale and quinoa salad is an entrée-sized way to escape the heat. It is made with red seedless grapes, mandarin oranges and golden raisins for a refreshing burst of sweetness. Add in red bell peppers, roasted almonds and Parmesan cheese, and its main ingredients have the savory partners for a healthy meal chock full of antioxidants. The salad is topped with champagne vinaigrette for a pleasant, acidic kick. Locally owned with six locations and a seventh opening soon at Will Rogers World Airport, Cool Greens has found success providing convenient, high-quality meals. The menu features an array of sandwiches, flatbreads and quinoa bowls, but perhaps its signature dishes are its salads, which can also be ordered as wraps. 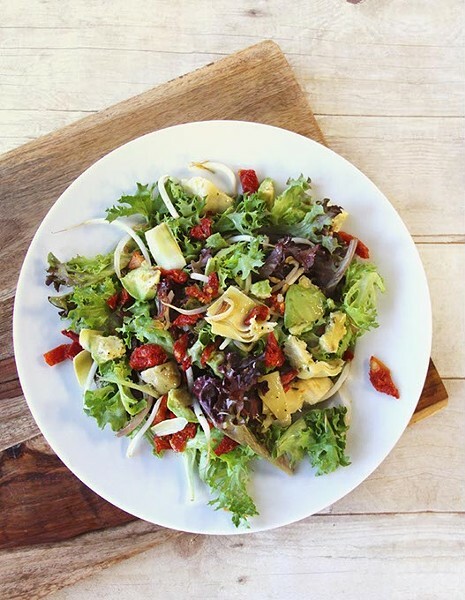 The Plaza Skinny combines mixed greens and peppery arugula with avocado, sundried tomatoes, sunflower seeds and salty artichokes and is topped with basil vinaigrette. Patrono Salad at Patrono, Thursday, July 27, 2017. 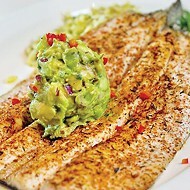 Patrono Italian Restaurant is more than just one of the best Italian eateries in Oklahoma City. Located in the mixed-use center connected to Avana Arts District apartments, the atmosphere is classy yet relaxed. 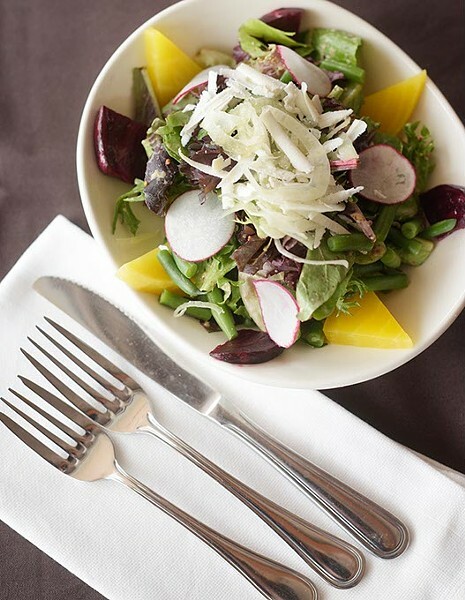 Its namesake salad features mixed greens, fennel, thinly sliced radishes and haricots verts (a fancy name for green beans) and is topped with red and golden beets, ricotta salata and a spicy mustard dressing. Fresh strawberry and spinach salad at Cafe 501, Wednesday, July 26, 2017. 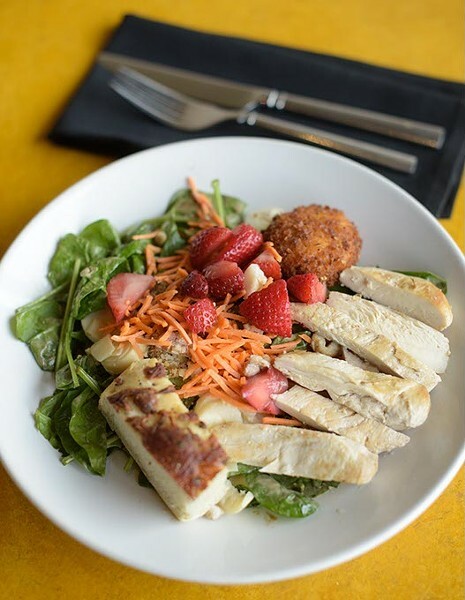 Strawberry and spinach salad comes two ways at Cafe 501, but the entrée topped with chicken earns our recommendation for a filling and refreshing summer treat. 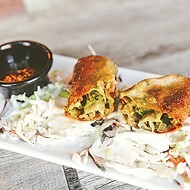 It combines healthy ingredients with a little fried treat in the form of crispy goat cheese. It also includes hearts of palm, carrots and sugared walnuts. The greens are dressed with balsamic vinaigrette and olive oil. 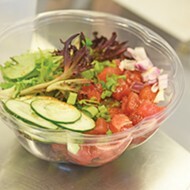 With locations in Classen Curve on NW Grand and in Edmond, there is ample opportunity to try this refreshing salad. Mediterranean curried chicken salad at Paseo Grill, Thursday, July 27, 2017. 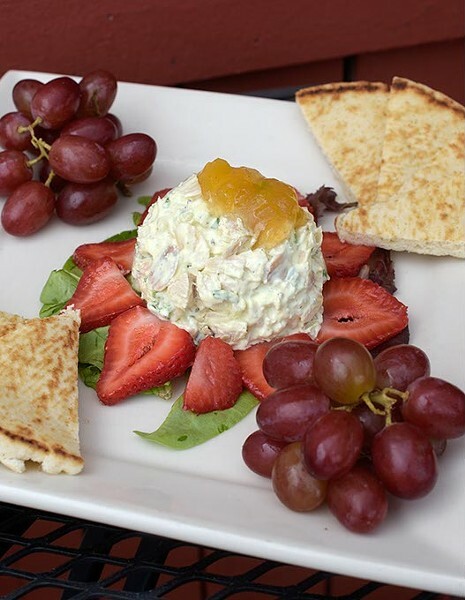 One of the qualifiers to make this list was to find a vehicle for summer fruit, and the Mediterranean curried chicken salad at Paseo Grill finds multiple ways to get it on your plate. The chicken salad bursting with curry deliciousness is topped with mango chutney and is joined by a healthy portion of strawberries and red grapes. Fresh pita bread allows you to turn that salad into a sandwich. Kale and sweet potato salad at Chef Curry To Go, Thursday, July 27, 2017. 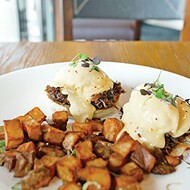 Executive chef Kendall Curry is so confident in his food that his name goes on his business, and for good reason. 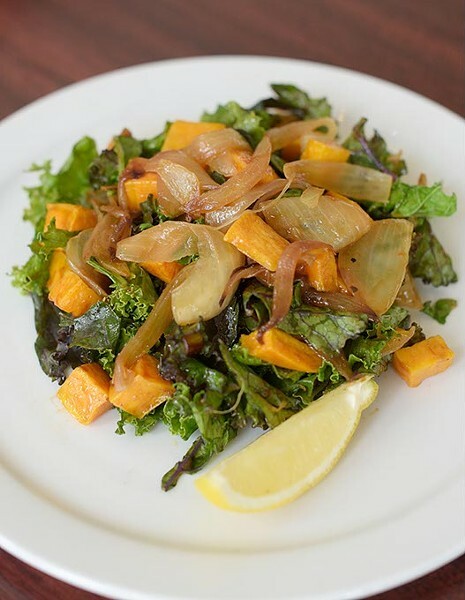 The sweet potato and kale salad takes two ingredients more associated with winter and elevates them to summer status with a sweet caramelized onions and a lemon hoisin reduction. You can add garbanzo beans, chicken or shrimp to make this salad an entrée-sized portion.